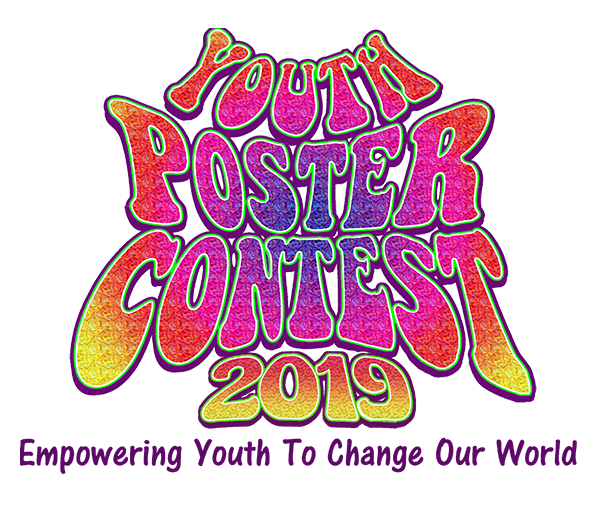 The 2019 Youth Poster Contest is now open. Our goal for 2019 is to greatly increase student participation from every middle and high school, both public and private, in Marin. Most especially, we will reach out and engage students from underserved communities. The deadline for poster submission is May 3, 2019. See contest rules for details. Last year's contest saw a 250% increase in participation, so let's break that record! Start working on your ideas and posters now. Stand up and speak out on social justice, women's rights, firearms regulation, immigration, climate change, gender and sexual equality and other issues important to the youth of Marin. The Youth Poster Contest has received a Certificate of Special Congressional Recognition from the United States Congress, a Certificate of Recognition from both the California State Assembly and Senate, and a Resolution from the Marin County Board of Supervisors. WOW....Be a part of this success! Defined as “significant cultural, political, or social change arising from the actions or influence of young people”, youthquake was chosen by Oxford dictionaries as the 2017 word of the year. In light of the recent tragedies, youthquake should also be the 2018 word of the year. Youthquake sounds like it should - the rallying cry by our youth to shake up the stagnant ground upon which politicians and others who will not raise their voice, or their vote, against this madness. We must all join this youth movement for sanity and safety. For the youth of Marin, now is the time to communicate your hopes, optimism and concerns about social justice, climate change, firearms regulation, and other issues important to you. Now is the time to stand up and speak out to our community.